Ran across this ad in the Pilot News the other day. 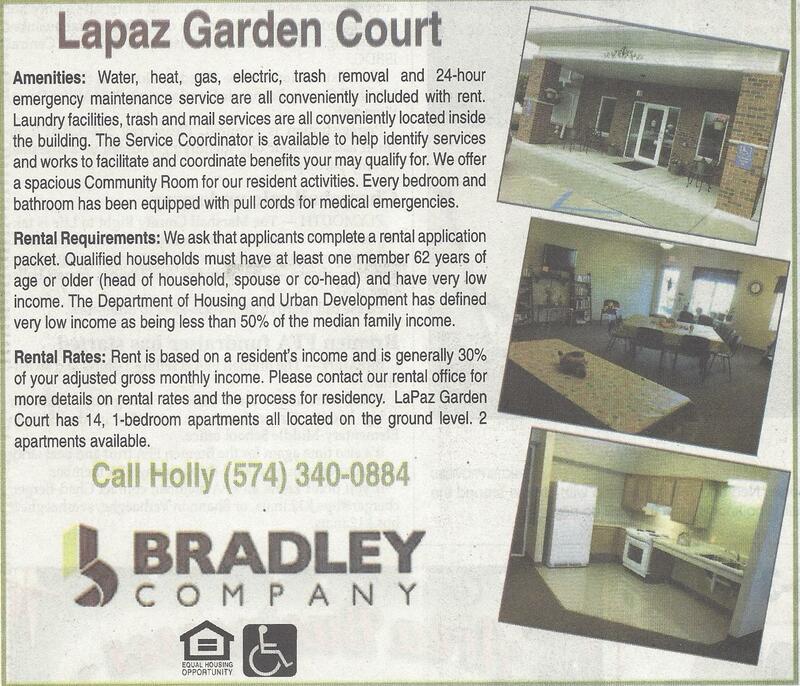 LaPaz Garden Court was completed by Easterday Construction Co., Inc. in 2010. It was the 6th Garden Court facility we built from the ground up. Due to a late start, this project got caught by weather and was shut down for several months through the winter. Despite that we were still able to make the completion date without extensions. We are proud of our association with Garden Court and are fortunate to continue to count them as a client.